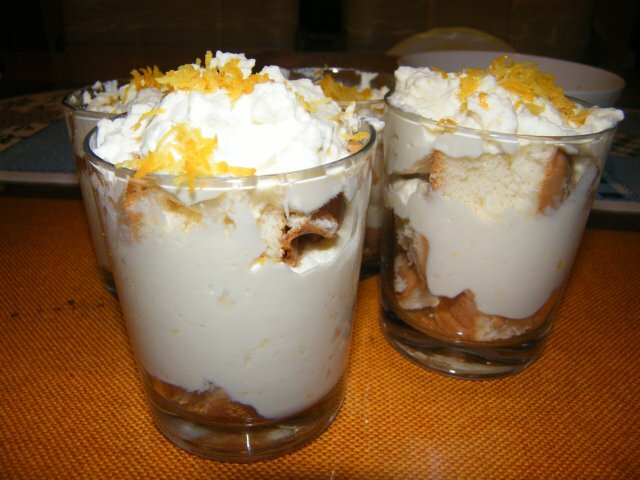 Not a very imaginative title I know, but this one's a real simple way to jazz up a light dessert consisting of ... surprise! sponge cake and cream. This recipe makes 4 glasses of the dessert. 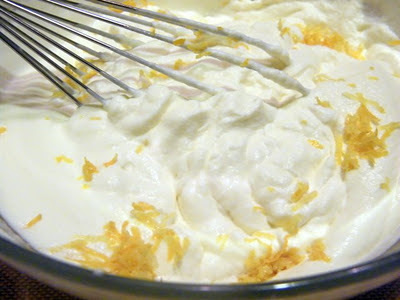 Whip the cream, and before it starts to form peaks add 3/4 of the lemon zest and white sugar. You may also squeeze in about half a lemon's worth of juice onto the cream. Mix thoroughly. Have a taste and add some more sugar or juice if desired. 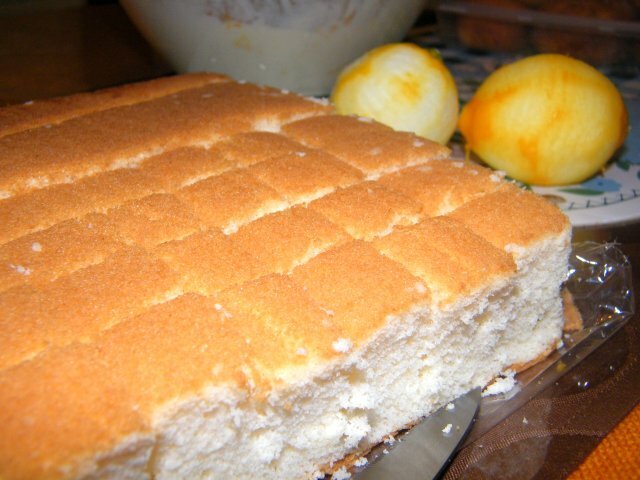 Cut up the sponge cake into small squares. 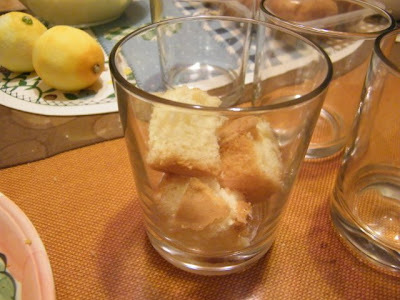 Take your glass, then jam some of the sponge cake squares at the bottom. Spoon some cream on it, then add more sponge cake squares, followed by more cream. Top it off with some zest for colour. 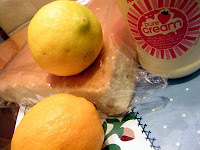 Another variation can be with the use of jam and fresh fruit, and with the lemon removed from the recipe. Spread some jam on top of the sponge cake before cutting it up. Then layer sponge cake with cream in the glass, and top with fresh berries or sliced fruit.